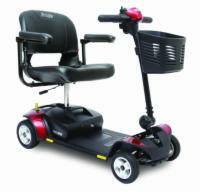 We offer the following informational guides as aids for electric scooter shoppers and owners. If you've just started looking for a mobility scooter, begin with the article titled "Choosing the Right Electric Scooter". This outlines many important considerations you'll want to take into account as you shop and before you order. If you already own a mobility scooter and want to get the most out of it, our Maintenance Guide offers many simple self-service tips that will extend the life of your scooter. Finally, if the jargon on our websites or brochures has lost you, check our Glossary page for more information about certain terms used when discussing electric scooters. As always, if you have any questions that these articles don't cover, our scooter experts are on call from 7:00 am to 12:00 midnight every day of the week. Call 1 (800) 462-5187 now for personal assistance! When selecting an electric mobility scooter, you'll want to take into account a number of factors. Scooter designs vary from minimalist to luxurious, with any given number of optional add-ons for a discriminating buyer. Good maintenance habits will ensure that your scooter continues to provide you years of service and enjoyment. 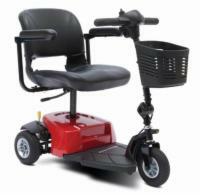 Find out more about caring for your mobility scooter with this guide. A scooter by any other name is still a scooter, but here you'll find more information about how electric scooters are classified by factors such as weight capacity and portability. Confused about what a certain component or part on your electric scooter does? You'll find the answers here. There are many accessories available to enhance your ride and adapt your electric scooter to your daily needs. Find out more about the many optional scooter accessories All Electric Scooters carries. Know the rules of the road - drive your scooter safely to protect yourself as well as pedestrians and drivers! What sort of traveling will you be doing with your scooter? Do you mostly travel by car or by airplane? Will you use it indoors or outdoors? Consider how these factors will influence your buying decisions! Find out how using an electric scooter can save you money and benefit our planet at the same time!